(Natural News) Ibuprofen is a type of a nonsteroidal anti-inflammatory drug (NSAID) that is often used to relieve pain, fever, and inflammation related to a wide range of health conditions. Some people treat this over-the-counter (OTC) drug as a “cure all” panacea for many of their ailments. However, ibuprofen can often cause unwanted side effects, such as constipation, diarrhea, dizziness, bloating, and nervousness. Fortunately, you can still relieve pain and inflammation without the unintended side effects by using a range of powerful and effective natural home remedies. Curcumin is an active ingredient found in turmeric that possesses anti-inflammatory properties. Due to its potent anti-inflammatory abilities, turmeric has a long history of being used in Ayurvedic medicine. You can enhance your digestive system’s absorption of turmeric by taking it with a little black pepper. Like turmeric, ginger is another anti-inflammatory spice. It contains a compound called gingerol that can help expand your blood vessels to facilitate blood circulation. 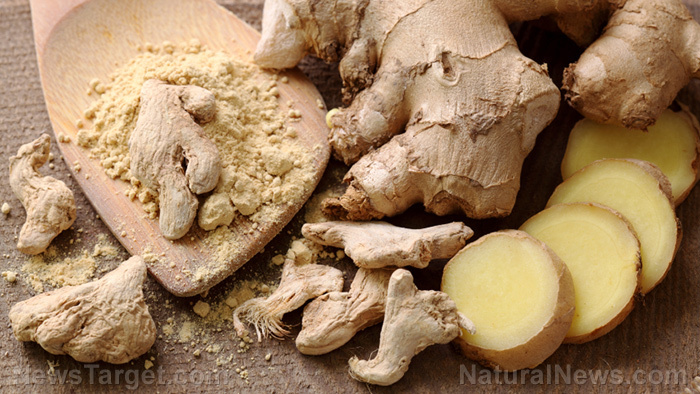 Ginger can also be used to relieve symptoms of nausea and pain related to indigestion. This popular superfood is a type of algae that is packed with some of the most powerful antioxidants and phytonutrients to help your body fight off inflammation and illness. It can also help to boost your immune system. You can take spirulina in capsule or powder form. Add some spirulina powder to a glass of water to make a nutritious spirulina health drink. You can even mix it into your favorite smoothies or cereals. This South African herb can be used to help relieve inflammatory conditions, such as muscle pain, joint pain, and arthritis. You can often find it in the form of herbal supplements or loose-leaf teas. You might consider it a little strange to take spicy peppers for pain relief, but that’s exactly what Cayenne peppers are great at. They contain an active ingredient called capsaicin. Capsaicin can stop your body from producing the neuropeptide, Substance P. Substance P sends pain signals to your brain. Without it, your body feels less pain. The nutritious and delicious cinnamon contains a substance called cinnamaldehyde, which can help inhibit your body’s production of inflammation-causing proteins. To reap the full health benefits of cinnamon, you can either chew on whole cinnamon sticks or add ground cinnamon powder to many of your favorite recipes. Prostaglandin is a compound that furthers feelings of pain and increases inflammation. Cat’s claw can effectively block the production of prostaglandin in your body. Cat’s claw also has anti-inflammatory capabilities, but you should be careful when taking it. If you take too much of it, it may lead to diarrhea. A recommended dosage would be around 250 to 1,000 mg once a day. At most, you can take this amount three times a day. You can get plenty of antioxidants by drinking green tea. It is one of the healthiest beverages in the world and is the true “cure all” panacea for the treatment of most health problems. It can help boost your immune system and ward off inflammation. Learn more about other natural home remedies by going to Remedies.news. Previous :About 90% of stroke risk factors are related to lifestyle habits… are you guilty of any of them?